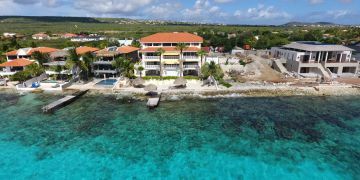 Capturing the best of views over the Caribbean Sea and Klein Bonaire, this 2 bedrooms/2 bathrooms condo offers luxury island living and more. 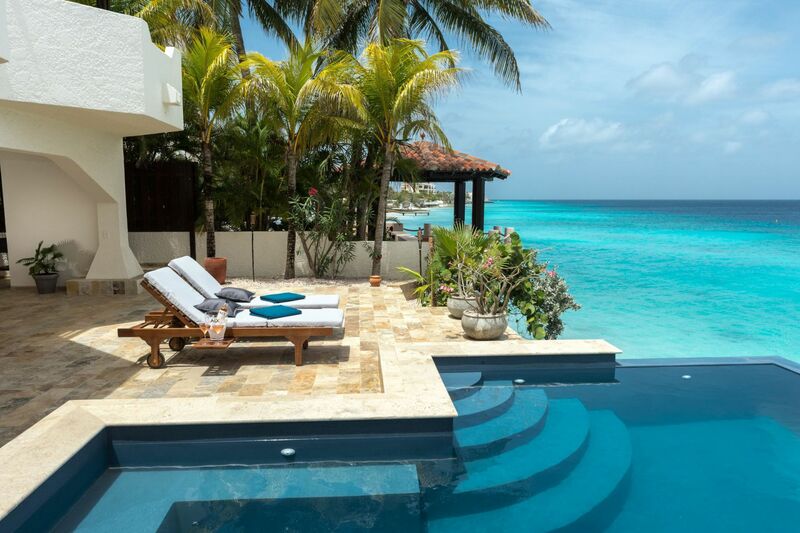 The sound of the waves gently rolling on the private sandy/coral rubble beach is mesmerizing and the color scheme of the Caribbean sea is ever changing. It can be all yours while seated on the wide covered terrace of Bellevue #9. 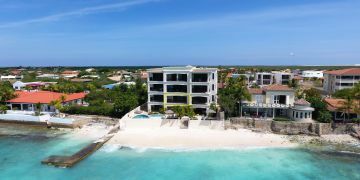 This condo is very well maintained and has a great rental reputation (VINIBU @ VRBO #203959) with rental occupancy numbers that are solid for years. 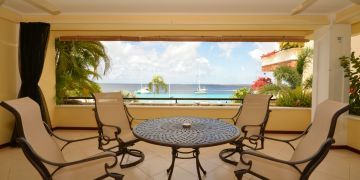 This condo is tastefully decorated, furnished and ready to rent out. Above the guest bedroom an attic has been created and made accessible using a pull down ladder: perfect as a locked area for securing large amounts of storage.. 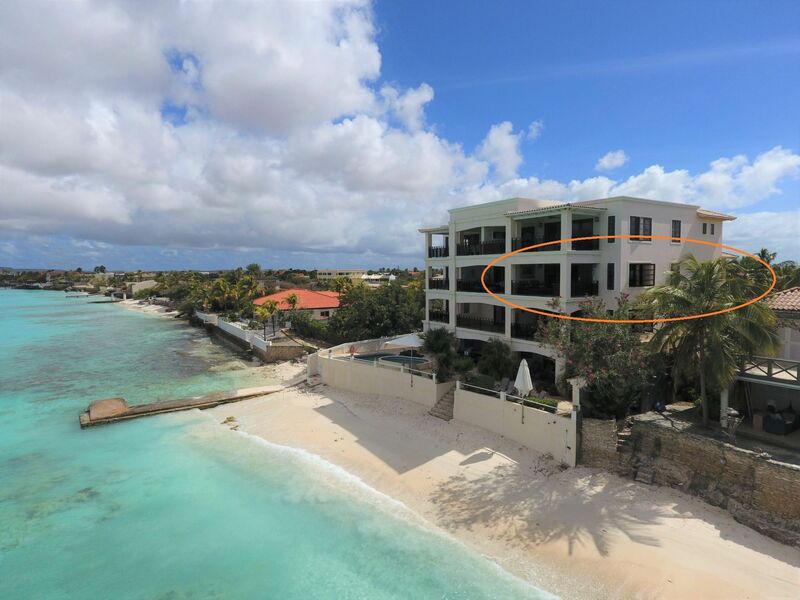 Condominium with 11 units in total at one of the best sea front locations. Entrance/covered stairwell with elevator to third floor with the front door. Hallway leading to living room (wide seaviews) with open, well equipped kitchen and sliding doors to wide covered terrace (seafront). Two bedrooms with built-in closets, each with en suite bathroom (one is accessible from the hallway as well), laundry closet with laundry machine & water heater. Attic with pull down ladder above the guestbedroom. Registered at the Land Registry Office Kadaster, number 4-F-1203A9. This condo is subject to a Home Owners Association (HOA). Home Owner Association fees are US$ 4,825.- per year. Please contact us in case you wish to receive further information about this HOA.